Wellness and reablement approaches to care delivery are emerging as powerful ways in which older people can be supported to improve their function, independence and their overall quality of life. The Short-term Restorative Care (STRC) program is government funded and aimed to improve and optimise your independence by reversing or slowing a functional decline. This way you can continue to live at home and feel empowered and confident. The program runs for approximately 56 days, is designed around your individual needs and goals and incorporates services from a multidisciplinary team. It can be delivered to you in your own home, a residential setting or a combination of both and provides another care option for older people wishing to remain living in their own home. At Baptcare, an Allied Health Practitioner will support your STRC journey and work closely with you to coordinate care. They shall work collaboratively with your GP and tailor therapy based on your preferences and goals to achieve positive outcomes. 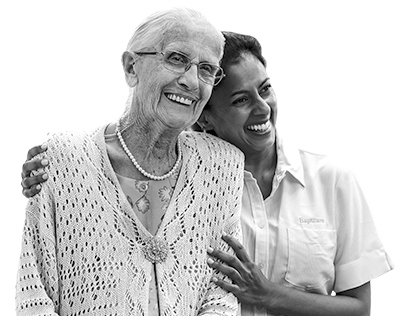 Baptcare offer Short-term Restorative Care in Melbourne’s Northern Metropolitan Region. To find out if you are eligible for Government funding/assistance visit the My Aged Care website. Or call us on 13 BAPTCARE to find out more.